Will No Man’s Sky work with Morpheus? No Man’s Sky doesn’t look like a game that you can truly “finish”. I mean, you could quest towards the center of the universe, but that will take ages and you’ll probably get too caught up in your life of exploration/piracy/trading. With so many ways to play, I think that No Man’s Sky will eat up hours of my life without me ever being able to explain what I did all day, and I’m totally okay with that. But could it become even more immersive? Sean Murray, the creator of No Man’s Sky, chatted to Edge Magazine and dangled an incredibly juicy way of phrasing his non-answer. I don’t know what I’m allowed to say. It’s something we’re thinking about. Morpheus, Oculus… There’s nothing more cool and sci-fi than VR and a big procedural universe. I think that, for the people who want to just explore, and even for the space combat and things like that, it would be a good fit. Let’s put it that way. When people wonder what they’re “allowed to say” it means that there’s something worth saying, right? So we can infer that there are discussions about integrating with Morpheus or Oculus to offer VR support for the game. Personally, I think I would get a bit nauseous when flying off into space with VR, but it could work so well, particularly when exploring a planet. I’d love to just look around while roaming, to really see everything around me in an unknown world. It’s not surprising considering the timing, either. Morpheus is scheduled to launch sometime next year. 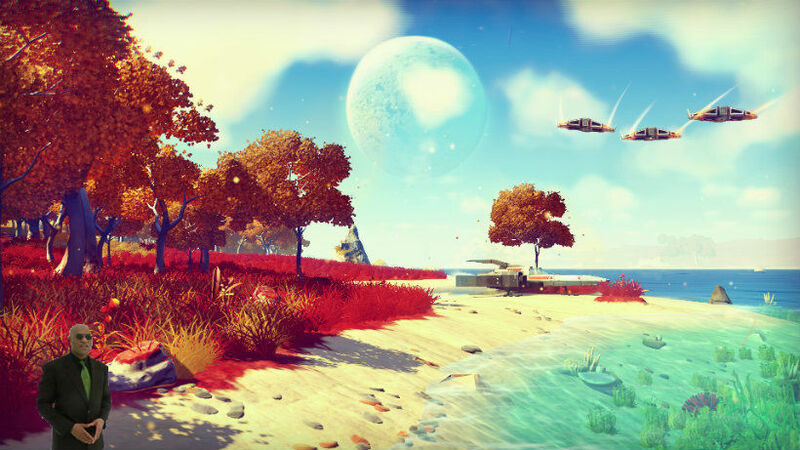 Perhaps No Man’s Sky will be a launch title? It would certainly help sell the headset if they had such an anticipated game supported. Previous article This red band trailer for THE NIGHT BEFORE came in like a wrecking ball!